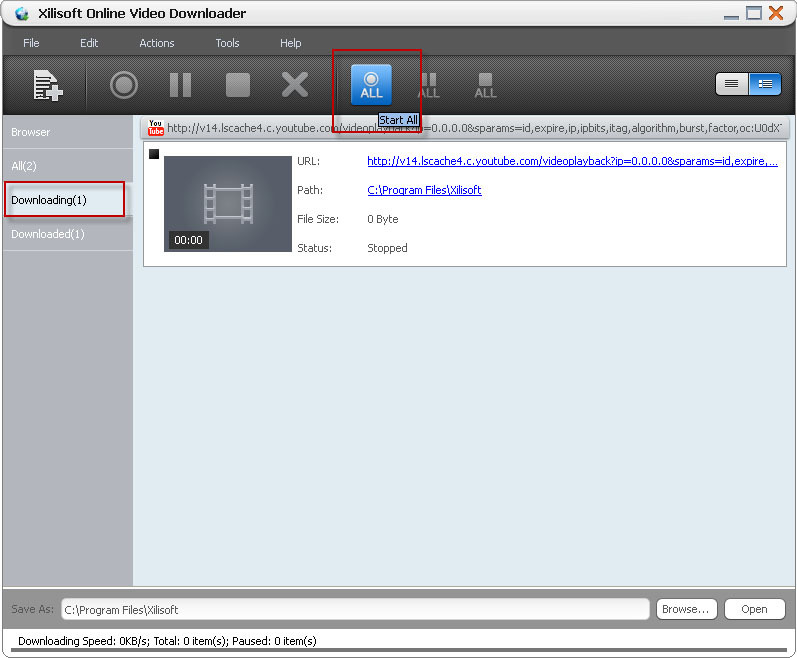 Xilisoft Online Video Downloader Tutorial - How to download online videos? 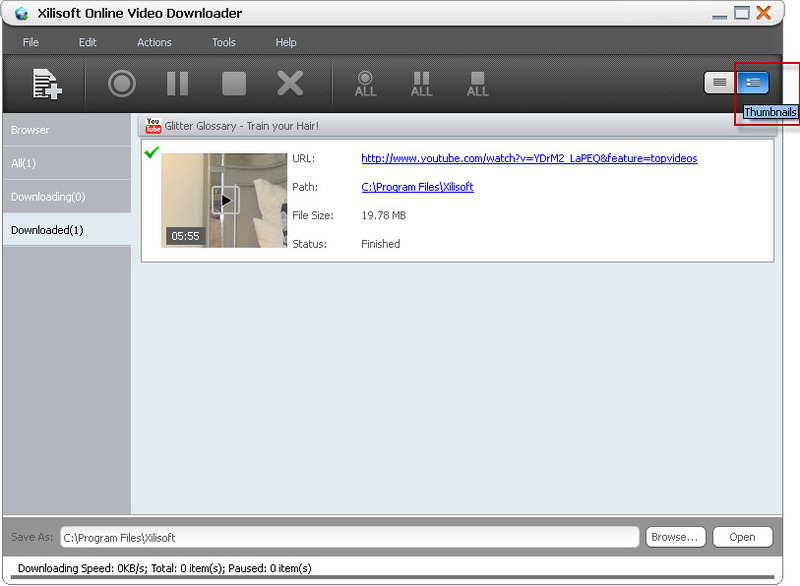 Download, install and launch Xilisoft Online Video Downloader. 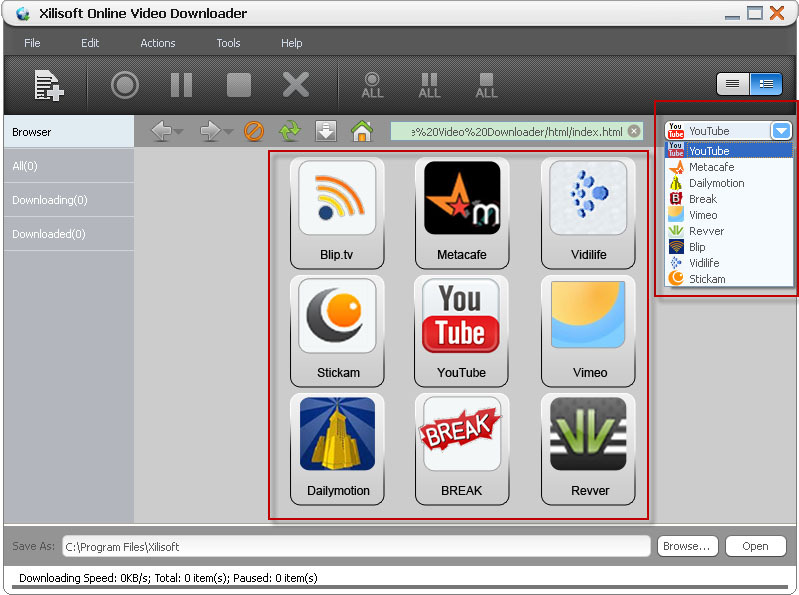 Xilisoft Online Video Downloader provides two view modes of the tasks: list and thumbnail, you can switch between these two modes by click “List/Thumbnail” button at the top right corner. Xilisoft Online Video Downloader allows you to download High Definition online videos from the sites. Just browse the online video you like and select 1080P or 720P on the dropdown list of resolutions. Manual mode and auto mode are available after initiaing a new downloading task. You can set the downloading mode in Tools=>Settings=>Tasks=>Start Type. If you select Manual mode, you have to start the downloading tasks manually in tasks list under “Downloading”tab.